Maine Single Wide Home | Castle Homes Sales, Inc. Cozy floor plan. 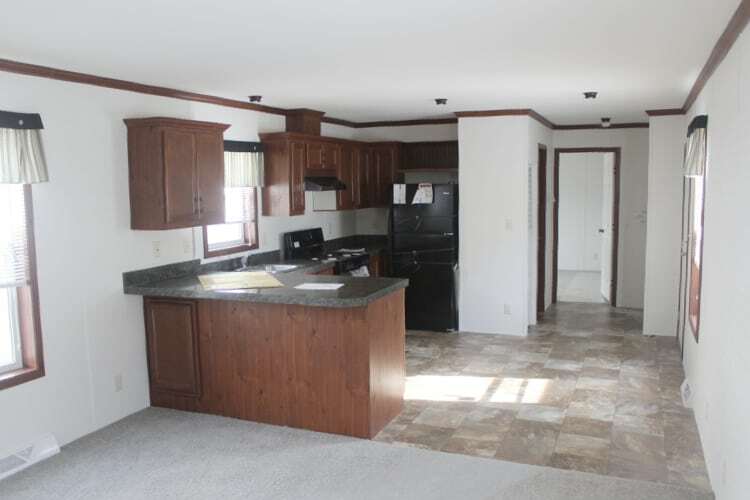 Kitchen cabinets with a snack bar.